The holidays are a special time of year for everyone; family and friends gather, memories are made, and delicious recipes fill our homes. 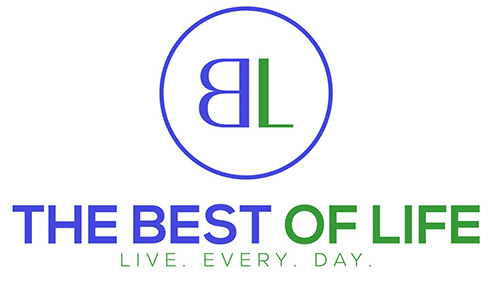 Part of making the holidays special in our home for me is making sure our guests are happy; I love sharing both old and new recipes with them. 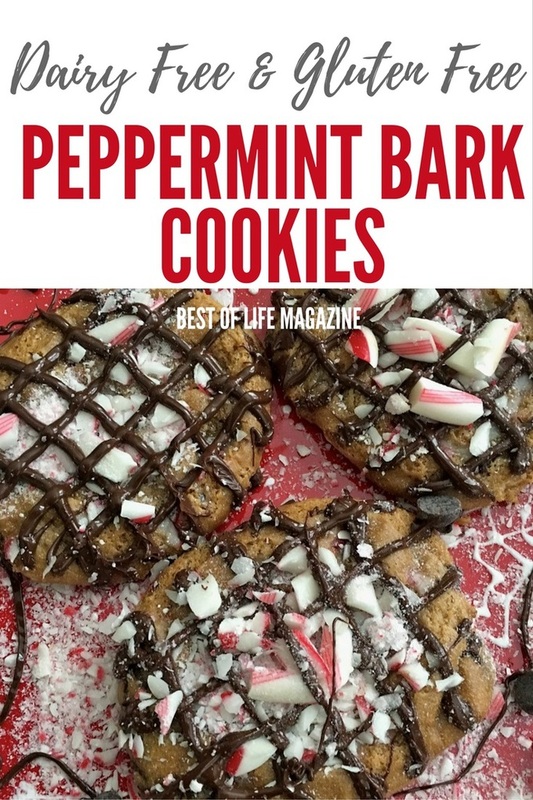 But, I also value my time with them so love recipes that save me time in the kitchen like this dairy free peppermint bark chocolate chip cookies recipe which also happens to be gluten free. In less than thirty minutes they go from prep to presentation and allow people with dairy and gluten allergies to enjoy a sweet treat. 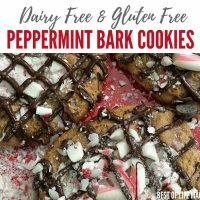 To make your dairy free peppermint bark chocolate chip cookies, preheat your oven to 350 degrees o 325 degrees if using a dark or nonstick cookie sheet. 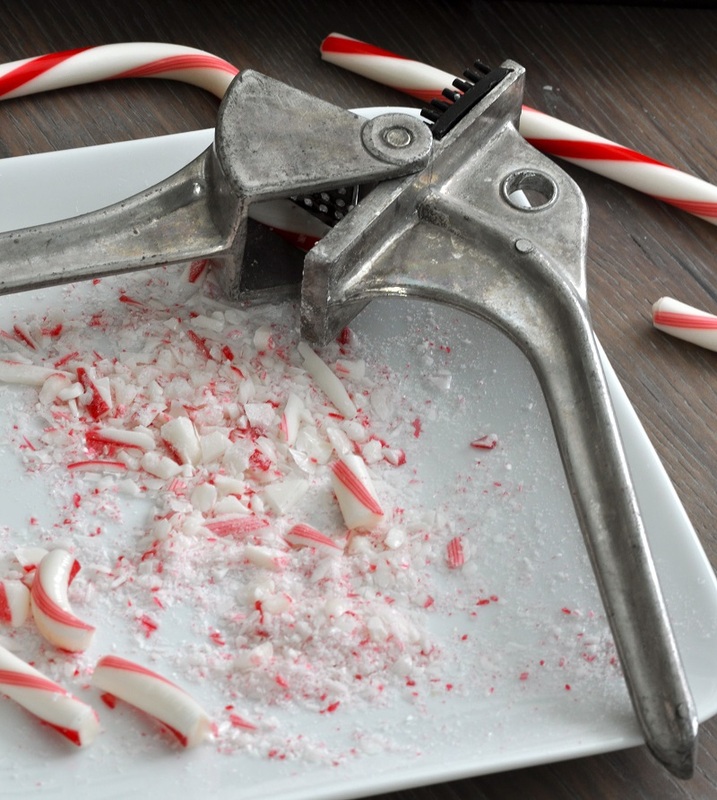 Using a garlic press, crush the candy cane into small pieces. You will need approximately two candy canes for one package of Immaculate Baking cookie dough rounds. Place pre-shaped Immaculate Baking cookie dough rounds 2 inches apart on an ungreased cookie sheet. Add crushed candy cane to the top of the cookies and press dough rounds down gently until they are about 1/2 inch thick. Bake for 14-17 minutes or until golden brown. This time may vary depending upon your oven and how much of the crushed candy cane you add before baking. 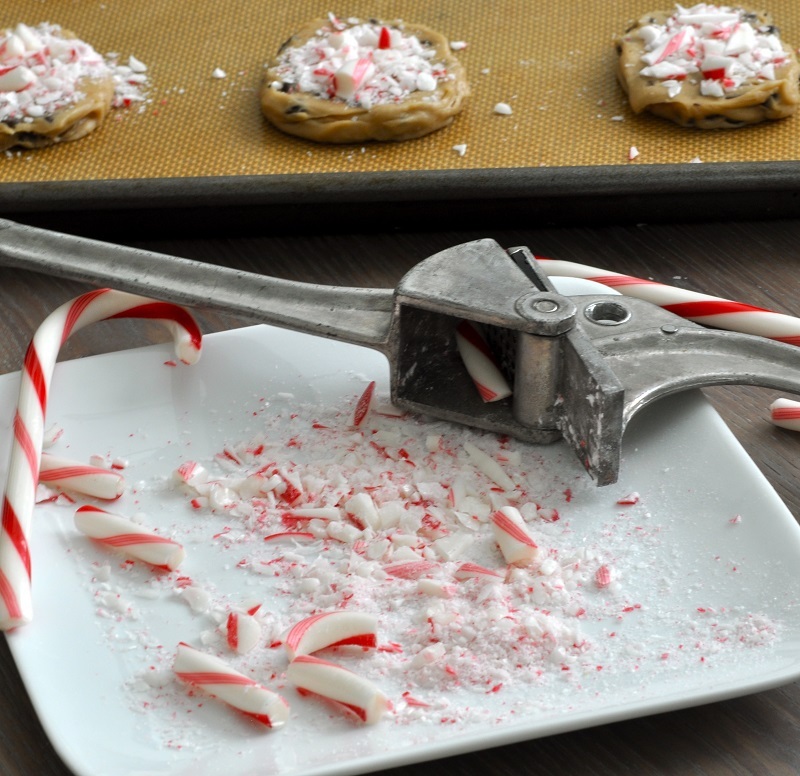 Sprinkle crushed candy canes on top of baked cookies when they come out of the oven. This will help the candy canes stick to the cookies. Heat the chocolate chips in a glass or microwave safe bowl for best results. For one cup of chocolate chips, microwave on medium power for one minute. Stir the chocolate. Heat at additional 15-second increments stirring the chocolate after each 15-second interval to ensure the chocolate is evenly melted. 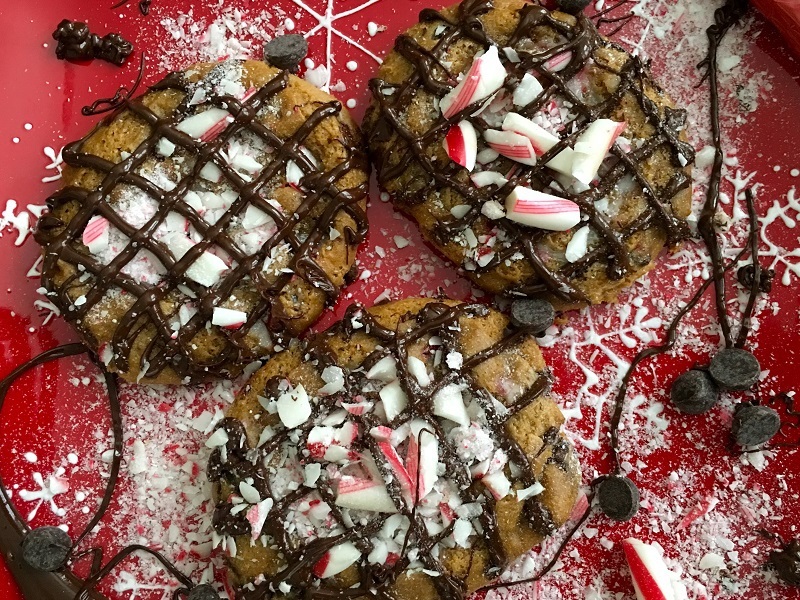 Drizzle melted chocolate on top of cookies to complete your dairy free peppermint bark chocolate chip cookies recipe. 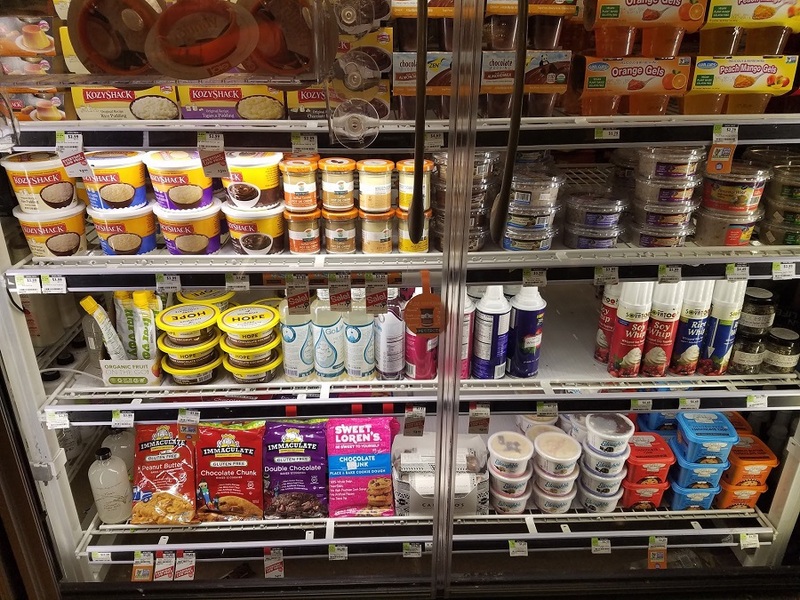 If you have a strict gluten allergy or have a dairy allergy like I do, you are in LUCK! 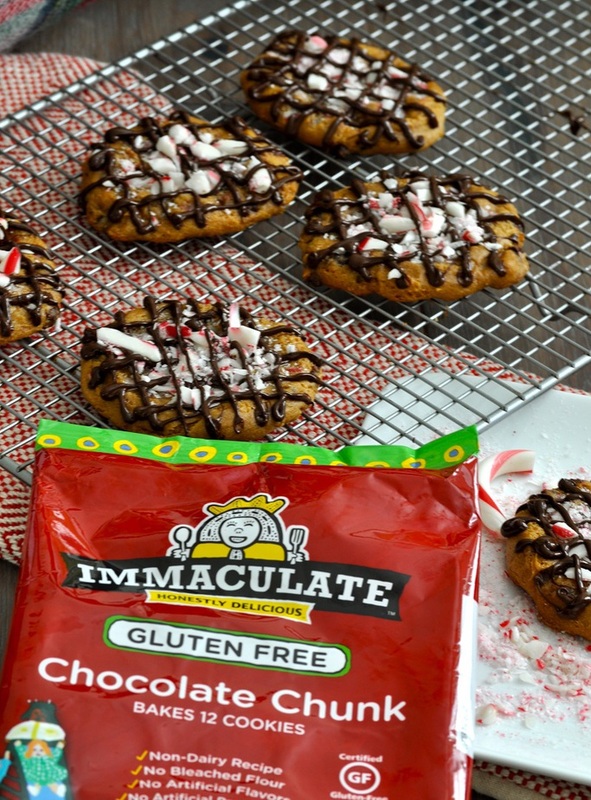 I was beyond excited to learn about Immaculate Baking Company products because many are gluten free, dairy free, and/or organic. Simply use dairy free chocolate chips to make the topping to complete this dairy free cookie recipe. Most candy canes are gluten free so all you need to do is ensure the peppermint bark cookies topping are compliant to make gluten free peppermint bark cookies. 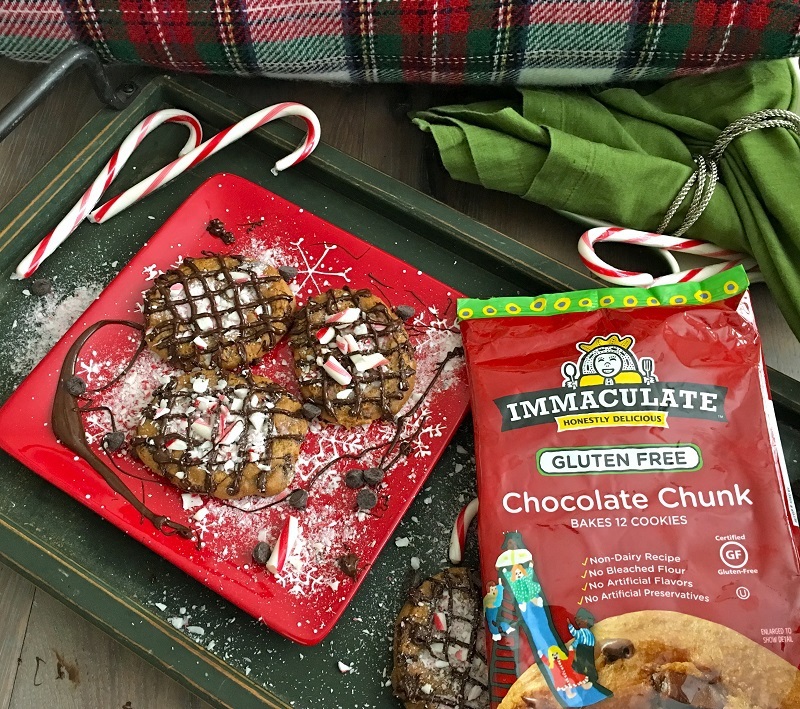 Finding products like this one from Immaculate Baking Company makes having an allergy feel normal, which is a welcome feeling. 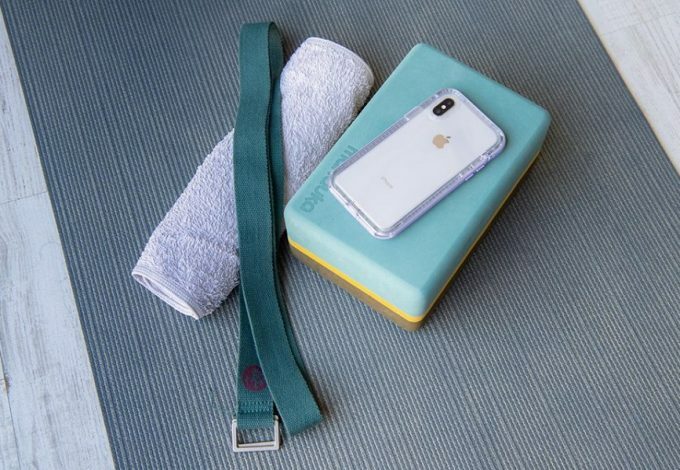 I purchased mine at Whole Foods; if you want to find a store near you that carries Immaculate Baking products, you can use their product locator. This month you save $3 when you spend $10 on Immaculate Baking products! Preheat your oven to 350 degrees o 325 degrees if using a dark or nonstick cookie sheet.